This year I am taking part in Faby's Christmas swap. I mailed off my Christmas presents a couple of awhile back and hope they have made their way to their recipients! I have been very busy and have not had much time to read my favorite blogs lately. Drora's lovely presents arrived a couple of days ago. 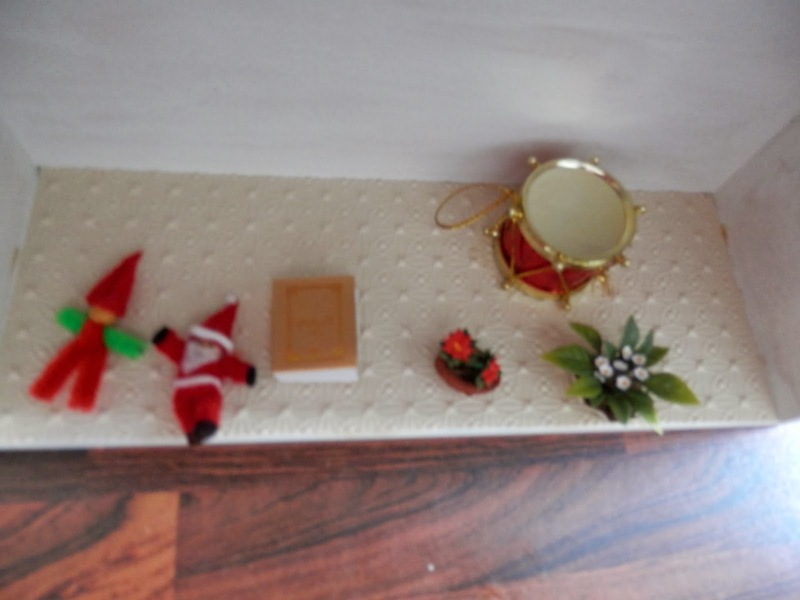 She has sent me some lovely Christmas miniatures, as well as a tiny book of the Psalms in Hebrew, which can be kept as a miniature or used as a talisman to ward off evil. I was lucky enough to win one of Drora's giveaway last year and will add these presents to my small collection of miniature gifts. Beautiful gifts, Ruth! Drora is so talented and kind. We can all use a talisman :-) Thanks for posting. It is so lovely gifts you have received from Drora, Enjoy. Thanks Wyrna! Merry Christmas to you too. Please, send me the photos of your gifts for Drora and Simona.